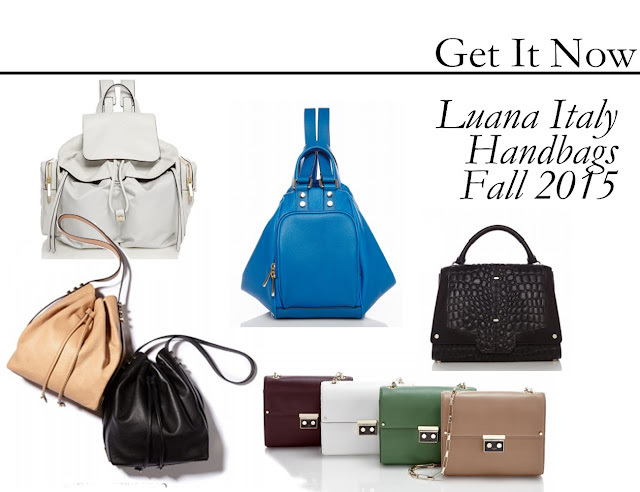 I just to got introduced to Luana handbags very recently and I wanted to share some of my favorites from their Fall 15 collection. The brand was founded in Pelago, Italy in 1965 and its known for femininity and innovative style. For Fall 2015 the collection includes totes, satchels and crossbodies in vibrant colors and the styles are multi-functional. Luana is available at Saks 5th ave and LuanaItaly.com and the collection ranges from $258-$698.